NewCastle Gold Ltd. (the "Company" or "NewCastle") is pleased to announce that it will resume drilling at its Castle Mountain Gold Project. The 10,400 metre program consists of 27 holes designed to increase the current mineral resource, and includes the drilling 3 hydrological holes. 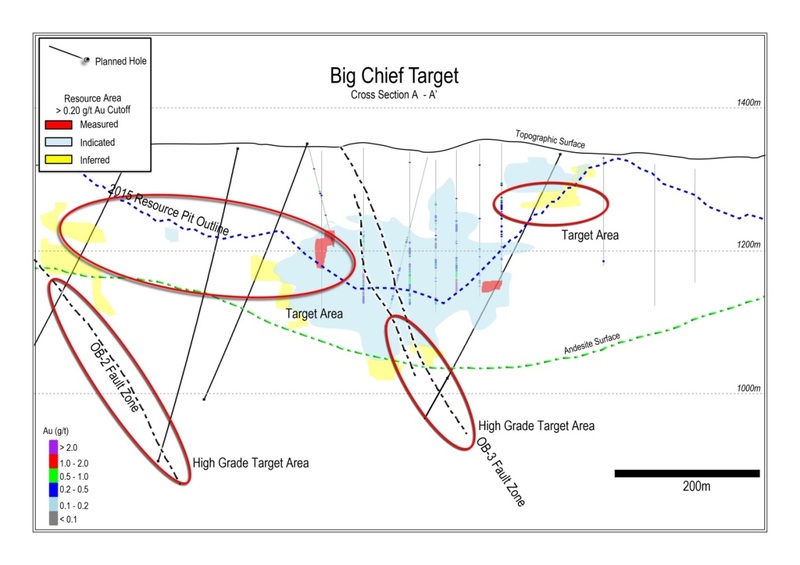 The initial program will target the southern part of the current resource area known as "Big Chief" and "South Domes" (see Figures 1 to 3 below). These targets are sparsely drilled and lie immediately adjacent to previously mined areas. As such, they are considered to have very good potential for near-term mineral resource expansion, as well as, possible strike extensions of the Lucky John high-grade mineralization encountered in 2014 and 2015. 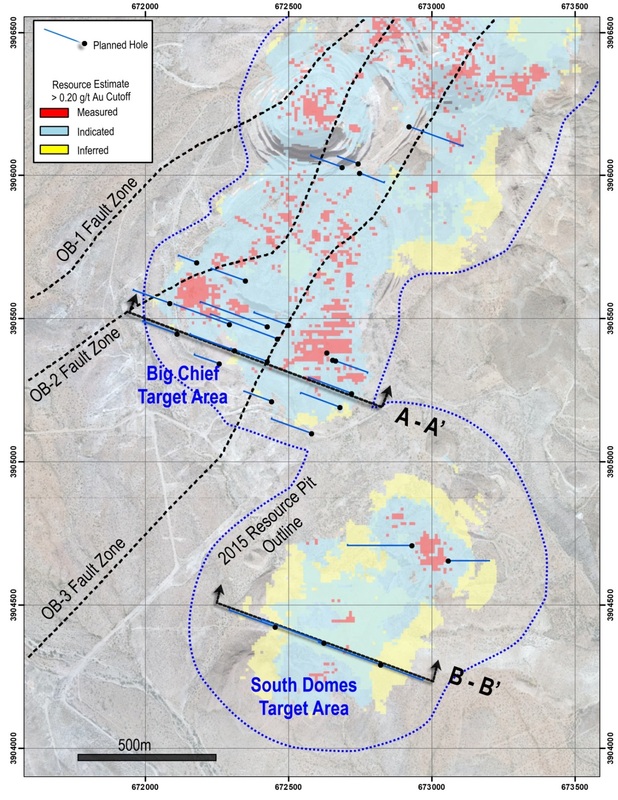 Big Chief and South Domes drilling will comprise 24 reverse circulation and core holes and will include key core cross-sections to test new geological and structural models. Surface work will also be carried to further to the east in areas of known potential with the goal of identifying future expansion targets and further improving geological modelling on the project. 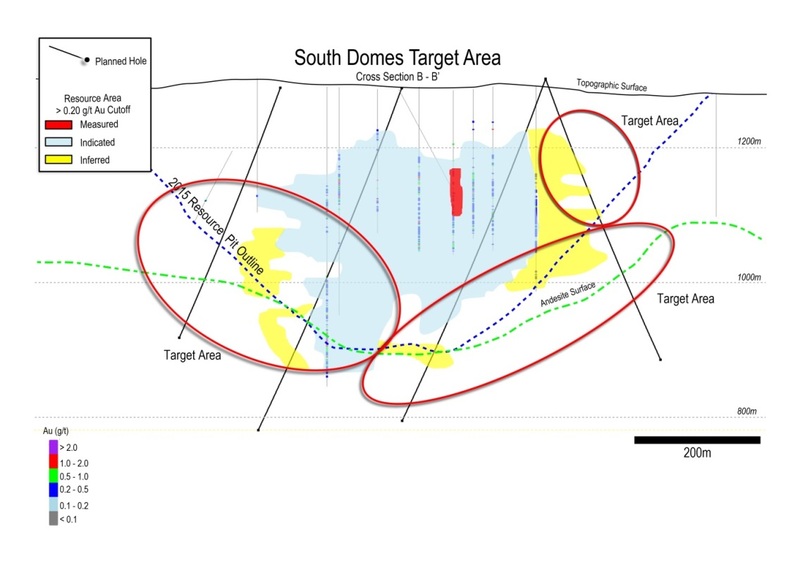 "The structural and resource studies completed over the last year on the Castle Mountain Gold Project show that significant upside remains and this program is just the beginning of a strategy to enhance and expand the resource beyond its current limits" stated David Adamson, Chief Executive Officer of NewCastle. Three holes will be also completed to test for water sources within the main mineral resource area. During previous mining operations, two of the better performing water wells were in this area. A review of existing hydrological data has commenced and will be followed up with field-based studies. NewCastle has 100% of the right, title and beneficial interest in and to the Castle Mountain Venture, a California general partnership, which owns the Castle Mountain property in San Bernardino County, California. The Castle Mountain heap leach gold mine produced over one million ounces of gold from 1992 to 2001, when mining was suspended due to low gold prices. The Mine and Reclamation Plan, under which the mine operated, was authorized by the County of San Bernardino as the Lead Agency and remains in effect. Water for the drill programs was accessed from existing patented wells on the Project.